The entrance to this home demanded something spectacular. 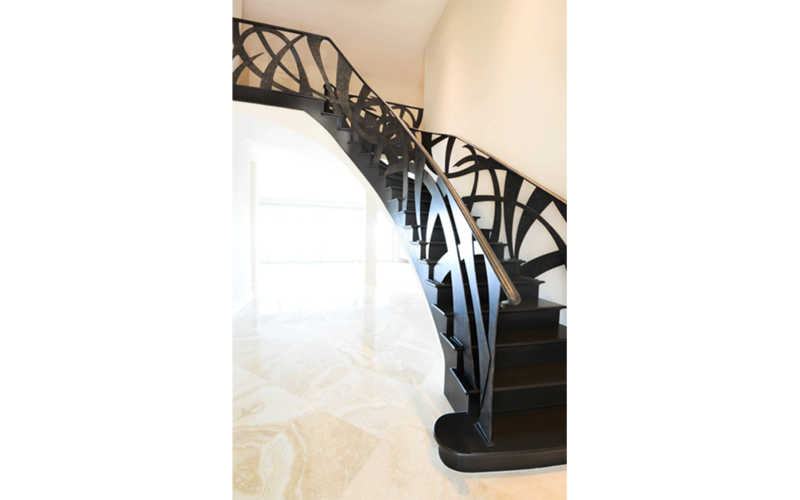 Nancy designed the custom one-of-a-kind stair railing to enhance the floating staircase. 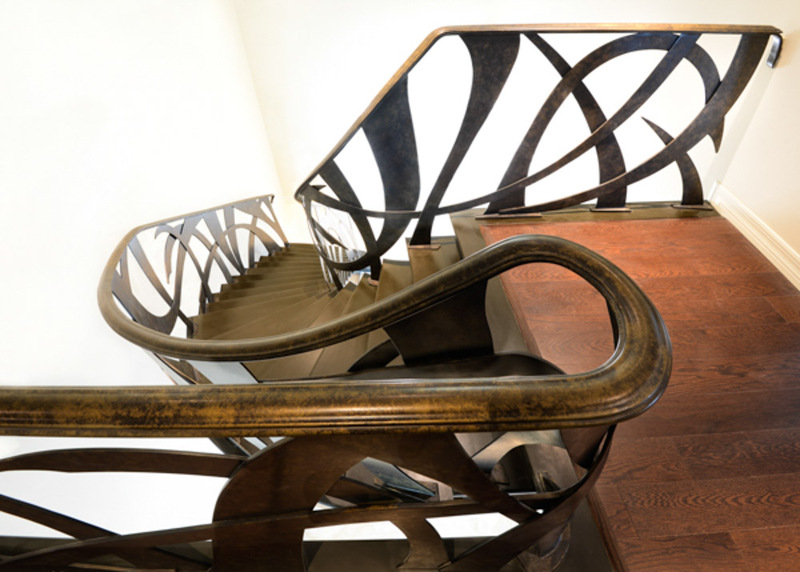 The patina of the metal is stunning against the deep, almost black, of the treads and risers. 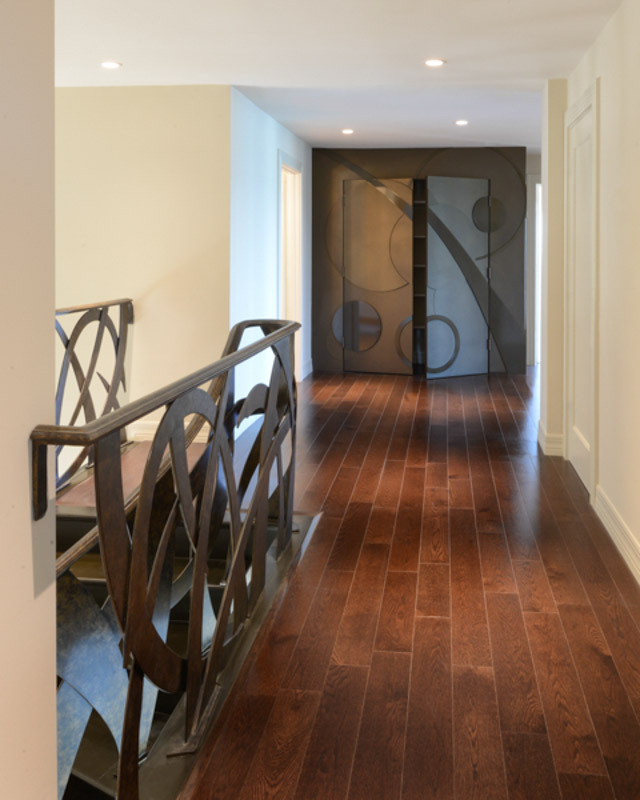 The second floor beautifully shows the branding elements of the Art Doors and the railing.